We’ve put together a selection of our favourite lustful liquors for the big day, all in stock now at our Riddles Emporium! A beautifully balanced gin with botanicals including rose, hibiscus, marshmallow root and goji berries. This handcrafted Love Gin from the Eden Mill distillery in St Andrews is perfect for the gin lover in your life. Served with rose lemonade and raspberries, this fruity and floral pink gin is sure to set your heart aflutter. A delicate infusion of pomegranate seeds and rose petals with gin, this lavish liqueur adds an aromatic edge to cocktails. Shake the ingredients over ice, strain into an ice filled glass, garnish with a lemon twist and serve up your love potion. If you’re tempted by Turkish Delight, this spirit will get your heart racing. Made by distilling thousands of rose petals, this unique floral drink has been celebrated for over 200 years. After disappearing in the Second World War, the long-lost recipe was uncovered and Lanique was reborn. A true love story. Stir Lanique and lime juice over crushed ice and garnish with a wedge of fresh lime. If you’re looking for a simple way to impress your Valentine, add a drop of Chambord, the French black raspberry liqueur, to your fizz this February 14th. Made with the finest blackberries, raspberries, XO cognac and Madagascan vanilla, this liqueur is a truly decadent addition to your Valentine’s celebrations. 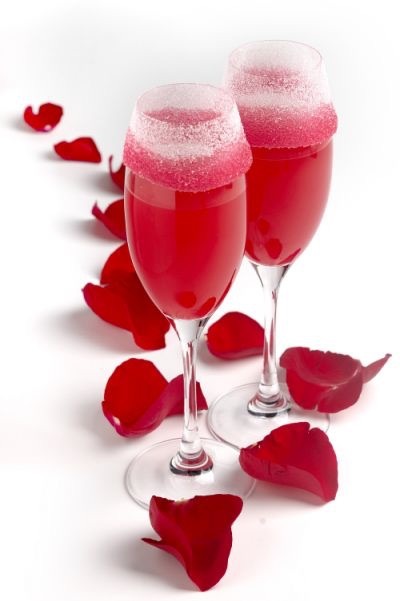 Add the liqueur to a flute glass, top with prosecco, garnish with a raspberry or a rose petal and get ready to fall in love. Explore five different rums from five regions each with a distinct history and flavour profile.Learn the history and process of rum production and find a new favourite. Finish off with a rum cocktail made by our bartenders at Riddles to complete the perfect evening for any rum enthusiast!